UCSF Institute for Regenerative Medicine, San Francisco | Inspection Services, Inc. 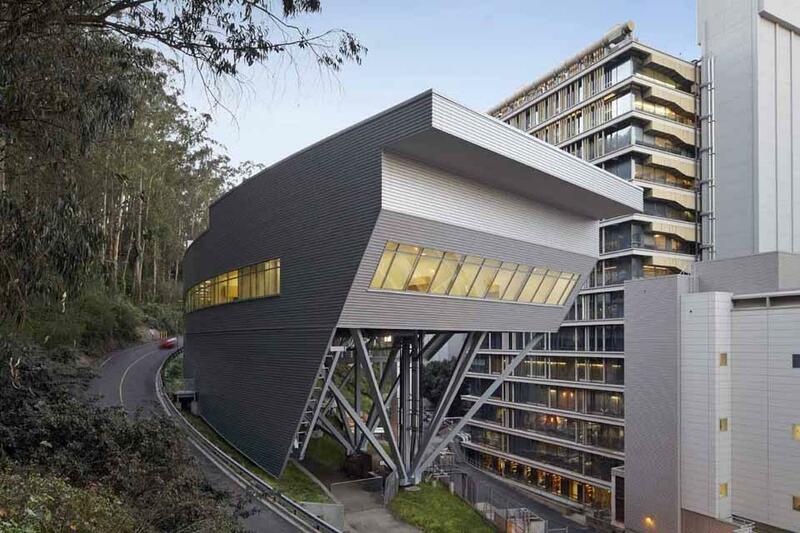 The IRM is a 2-story, 67,070 GSF laboratory research building at the UCSF Campus – Parnassus. The project incorporates an innovative structural steel seismic base isolation/foundation system to support a conventional steel brace – framed superstructure. ISI is providing all of the Special Inspection and Materials Testing services in accordance with CBC Title 24 requirements and State Fire Marshall approval. Included with the project is a new 600 ton chiller and 1200 ton cooling tower requiring OSHPD approval. The site had very challenging conditions as it is built into the existing steep slope, requiring a stepped soil nail retaining wall to accommodate the construction.